This photo op ready combo features reversible cheeky “Naughty” and “Nice” messaging that is sure to be a hit this holiday season. 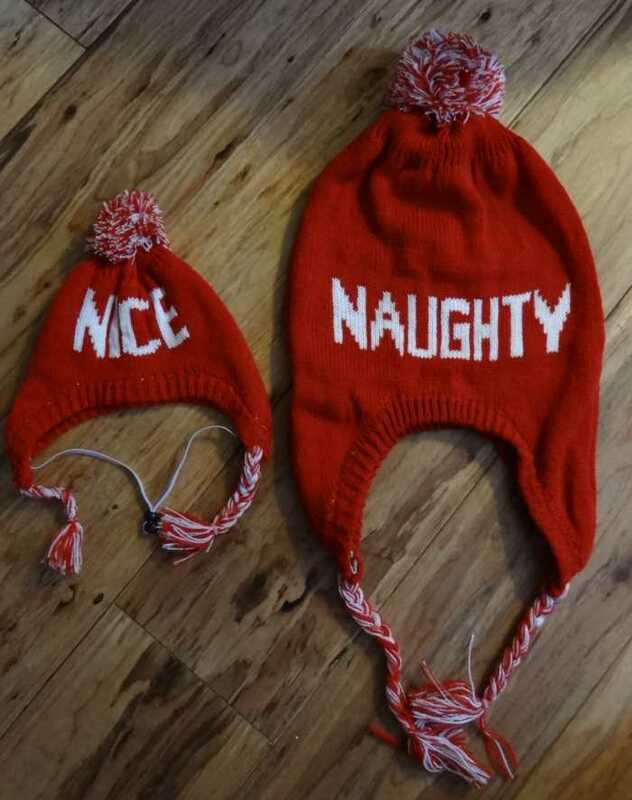 The Dog And Parent Matching Naughty And Nice Hat Set includes two reversible accessories, one for adult and one for your pet. Ideal for holiday photo ops. 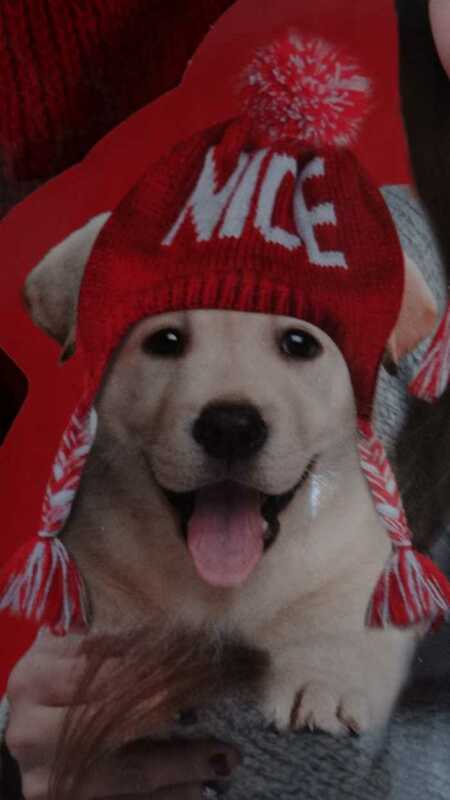 Dogs are the best companions, and what better way to include them in your life than to wear matching beanies. You and your pal will be the perfect pair when you sport these fashionable and comfortable winter accessories. You will catch everyone’s eye as you stroll through town and the dog park. Keeping warm has never been more fun. 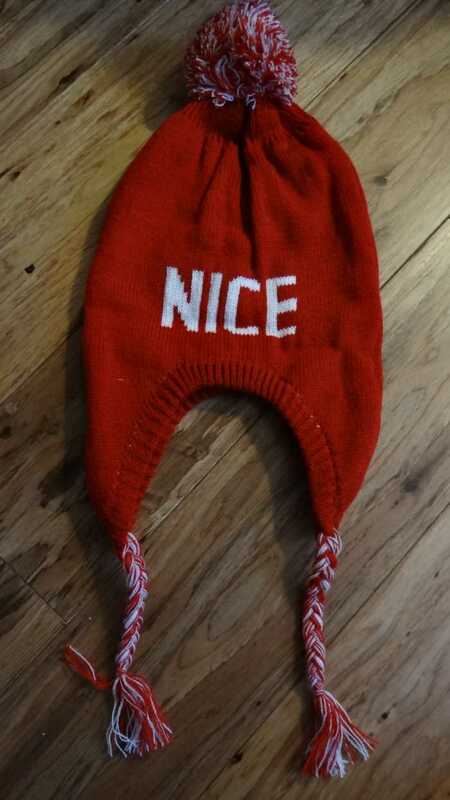 The Dog And Parent Matching Naughty And Nice Hat Set is 100% acrylic. Hand wash cold - dry flat. 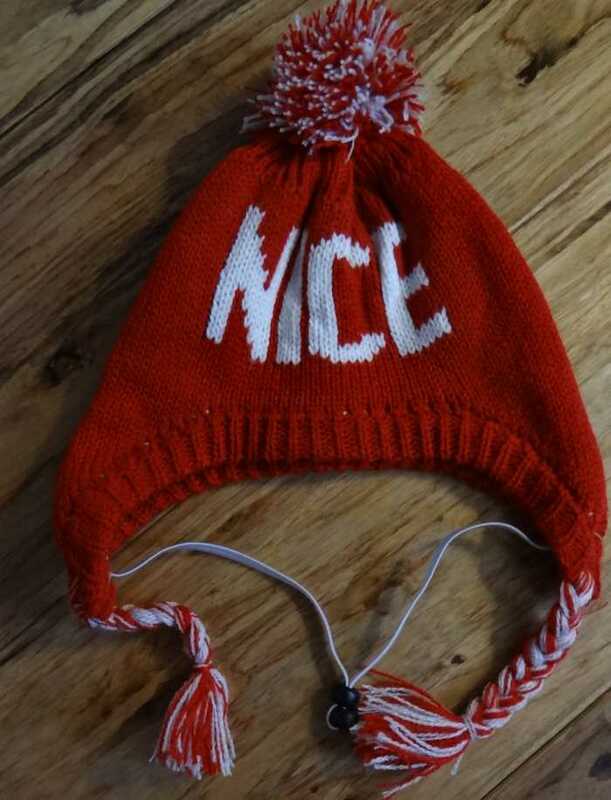 The parent hat measures 9 ½” across but stretches up to 12” across, the Pom Pom is 3”, 13” from the top of the hat to where the braided ties start and the braided ties to the tassel measure 6 ½” long. 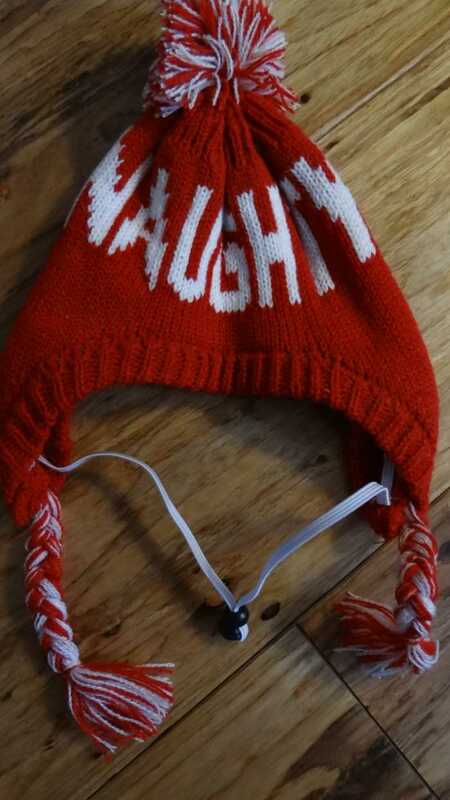 Each hat is reversible with “NAUGHTY” on one side and “NICE” on the other side. 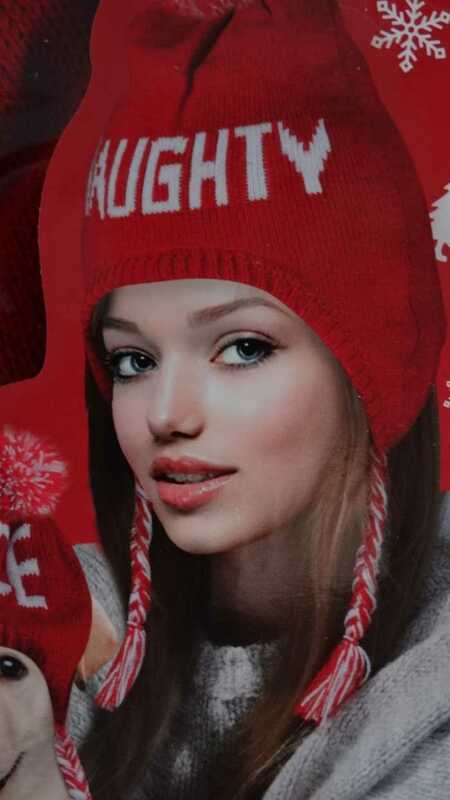 The pets hat is the exact same style. There is an adjustable elastic strap under the chin and there are two slits (one one each side of the hat) for the pets ears. The pet hat measures 6” and stretches up to 8” across, 6 ½” from the top of the hat to where the braid ties are and the braid ties to the tassels are 4”. The Pom Pom is 2”. Time for joy “Naughty” and “Nice” parent and pet gift set.